Do you have an odd chair sitting around? Need to fix up an entry spot? This will do, and it's easy to! I liked how it already had the popular black and wood colors. A must with primitive decorating. 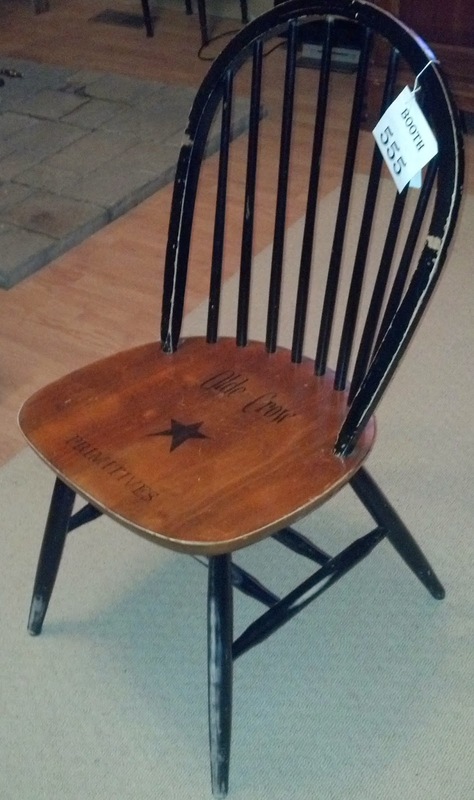 And I thought I could do just a little bit to it to make it a wantable chair. So I got out my stencils and paint. I used oil based stencil paint, btw. After it dries it is very durable. But those stars above weren't large enough so I had to find another. 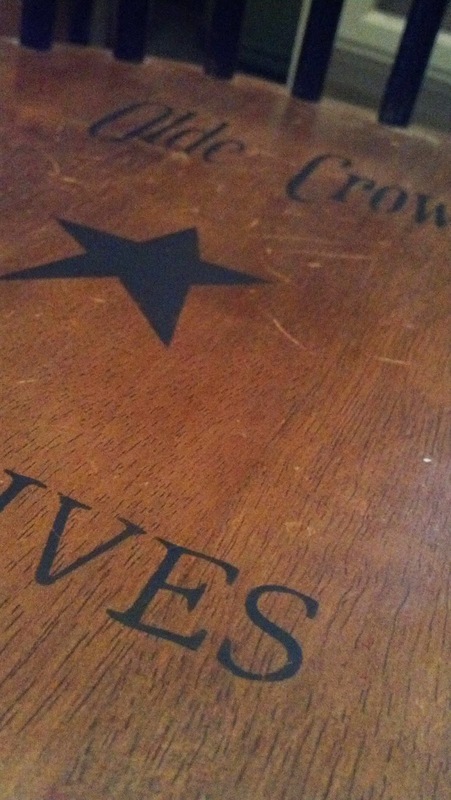 After I stenciled this "OLDE CROW PRIMTIVES" and Star on, I let it sit and cure (dry) for 24 hours. 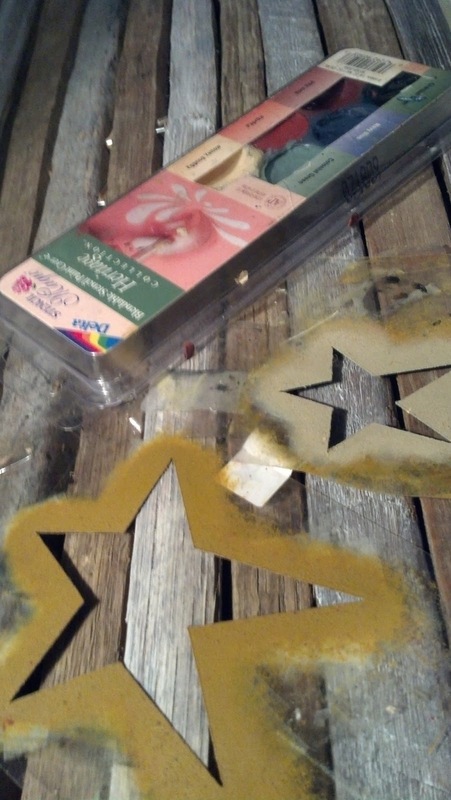 Then I applied an all purpose paint sealer, found in the craft section at Walmart. It will help seal it all in a bit. I also took some medium grade sandpaper and scuffed up the legs a bit more. And that was all to it. 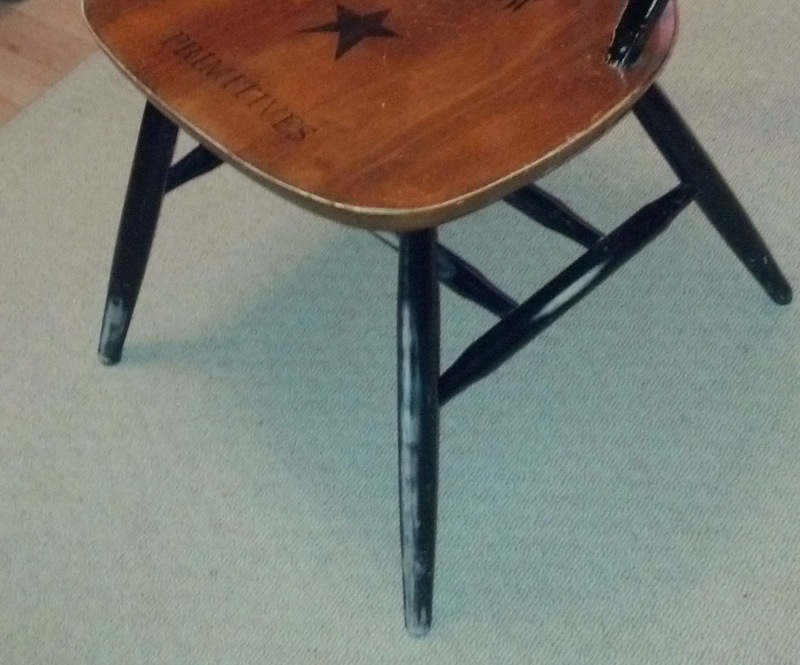 Nothing special, but it is a little bit better than just one plain odd chair. 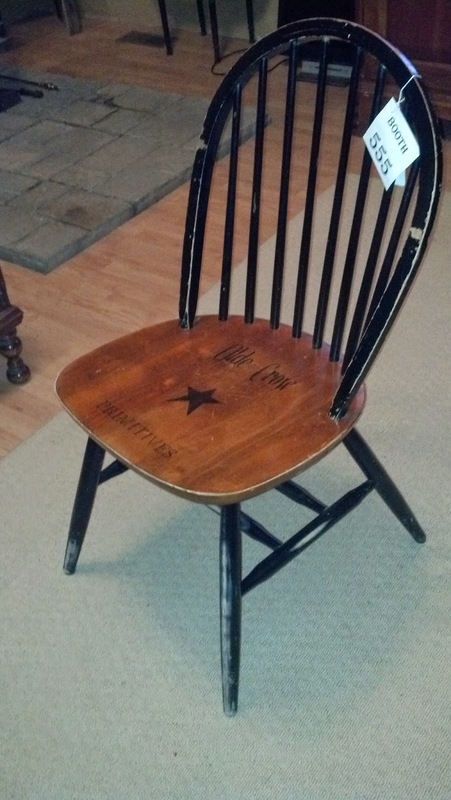 Hello, pretty chair makeover with the stencils..Thanks for sharing a great idea. Enjoy your day and have a happy week ahead! Don't you just love the quick easy projects that fly out of your booth? I love it when you can spend just a few minutes and make such a huge improvement on an item. Awesome job! Great primitive makeover! 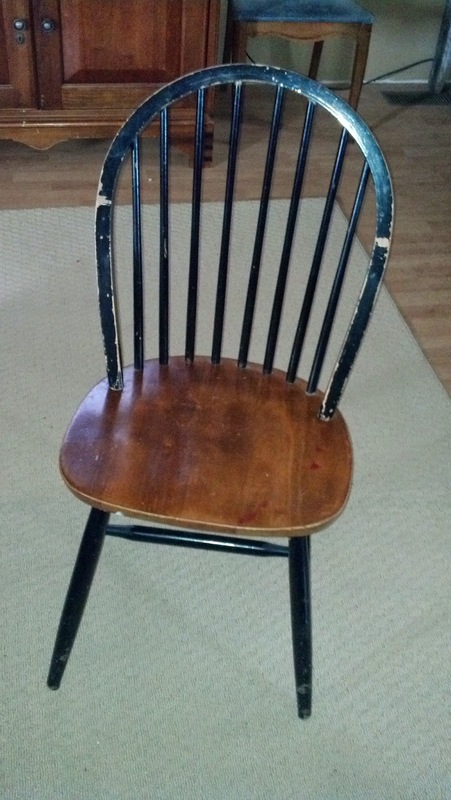 It helped the chair was already black and wood stained! I love the stenciling - the perfect touch! I'm not surprised that it sold so quickly!